International Day Against Homophobia, Transphobia and Biphobia is an annual campaign that focuses on raising awareness of discrimination experienced by LGBT people internationally. It is celebrated on May 17 in more than 30 countries. The day was created in 2004 as International Day Against Homophobia (IDAHO). The IDAHO initiative was supported by 24,000 individuals as well as LGBT advocacy organizations. In 2009, transphobia was added to the title of the campaign, and biphobia was included in 2015. These changes were made to acknowledge the specific issues faced by transsexual and bisexual people. 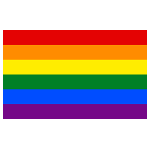 The date of May 17 was chosen to commemorate the WHO's decision in 1990 to remove homosexuality from the ICD-10. Before that, homosexuality had been classified as a mental illness. The original founders of the campaign established the IDAHO committee to co-ordinate events held in different countries and to promote the campaign. The main purpose of the campaign is to draw the attention of the public, the media, social movements, opinion leaders and policymakers to discrimination, violence and repression experienced by LGBT communities worldwide. It is supported by millions of people irrespective of their sexual orientation or gender identity. Several states have recognized this day officially.